Hunters Estate Agents and Letting Agents Mid Wales, previously trading as Gwalia Properties for the past ten years, is a family run estate agent located in the famous Victorian Spa Town of Llandrindod Wells, offering sales, rental and auction services for all types of property across Mid Wales. Paul, who started Gwalia Properties, has run the business for the last 10 years, rebranding to Hunters is the next step in the continuous development of the business. Hunters offers us and our customers the resources of a national company with over 200 independent offices, nationwide marketing, new technology, TV advertising and excellent customer service. Hunters Estate Agents and Letting Agents Mid Wales understand how special your home is to you and the journey you are about to embark on, whether its your first home, your forever home or your retirement home, whatever stage you are at, to carry on your journey, your home needs selling or renting. 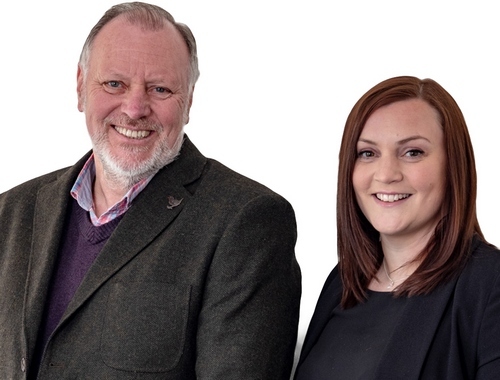 The team at the Hunters Mid Wales branch are a family business with many years of experience in property matters and pride themselves on a service which is unique and personal. They are one of the only agents in Wales who specialise in the sale of Park Homes in the region. To start the next stage of your journey, we can provide you with a free sales or rental valuation or contact us to find out how we can help you further, please call us on: 01597 825644 or pop in to the office at 1 Park Crescent, Llandrindod Wells, LD1 6AB for a chat over a cup of tea or coffee. Click to view preferred suppliers for Hunters Mid Wales. VAT Reg No: 294 6075 72 | Registered No: 11325191 | Registered Office: Gwalia Annexe, Ithon Road, Llandrindod Wells, Wales, LD1 6AS..
Paul has lived locally all his life. 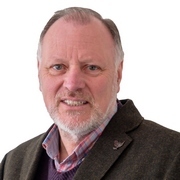 Working in property for the past 40 years, selling or buying at auction for clients, managing rental properties and overseeing refurbishment projects for clients to sell on. He has a unique knowledge of investment property throughout the region. Becci, Paul’s daughter, has spent the last 10 years working for Powys County Council and is now joining the family business and is looking forward to the challenges this new roll will bring, having lived locally all her life. 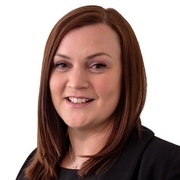 Becci has extensive local knowledge to bring to the role of Lettings Manager. Our Area is unique and has some of the most spectacular scenery in the UK from mountains and waterfalls to lakes. Mid Wales has no large cities and is made up of small Towns like Llandrindod Wells once famous as an Inland Holiday resort in the late 1890’s or Rhayader now the Gateway to the famous Elan Valley, an area often referred to as Wales’s own Lake District, these mostly man-made reservoirs were built to Supply water to the midlands. Llanwrtyd Wells another old Spa Town is home to some very eclectic events like The World Bog Snorkelling Championships and the Man v Horse Race. Builth Wells situated on the Banks of the River Wye is the home to one of the biggest Agricultural Shows in Europe The Royall Welsh Show. At the foot of our area is the renowned Brecon Beacons National Park with one the highest peaks in South Wales Pen-y-Fan, this area is also home to the International Dark Sky Reserve. Where ever you decide to live in Mid Wales you can be sure of one thing, there is space to live, breathe and raise a family. The property selection afforded to a buyer in our area is diverse and Offers exceptional value for money compared to other parts of the country. Whether you want to retire or make a life changing move to change your life work balance you can be sure to find a property to suite any budget.